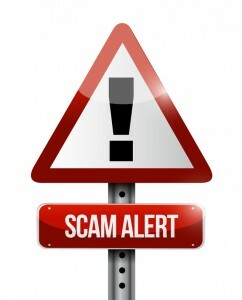 4 Red Flags of Debt Relief Scams | Denver Bankruptcy Attorney - Jon B. Clarke, P.C. A Denver bankruptcy attorney explains the warning signs of debt relief scams. Turning to a professional for help getting out of debt can be a smart decision when you are no longer able to pay your bills and/or when your debt seems to be growing regardless of your efforts to reduce it. After deciding to get professional debt relief help, however, the next important decision will be what service or professional to trust and work with moving forward. And this choice can be pivotal to whether you are able to obtain the financial fresh start you need – or whether your debt problems end up getting worse. That’s because, unfortunately, scammers can disguise themselves as legit debt relief businesses, taking what little money debtors have left while not offering the help that is promised. To help you avoid being taken by a debt relief scam, below are some common warning signs to look out for if or when you may be shopping for debt relief services. Upfront service charges – Avoid companies that require you to pay service fees before your debt has been settled or before they have really performed any beneficial services for you. Also, legitimate debt relief services should clearly explain their fees to you upfront, so take it as red flag if you are dealing with a company that will not share its fee schedule with you. Guarantees – Be suspicious of companies that “guarantee” to eliminate all of your unsecured debt and/or to reduce your debt obligation to “pennies” on the dollar. A responsible debt relief company will explain that, while it will work diligently to help you reduce your debt obligations, there are no guarantees because creditors are generally not obligated to deal with these companies. Requirements for personal info before services are explained – In fact, be suspicious any time a debt relief company is asking you for your social security number and other sensitive personal information upfront before generally discussing your situation and their services. Requirements to stop contact with creditors – Although this can be a term of working with certain debt relief companies, be weary of moving forward with any that do not explain the consequences of stopping contact with creditors. It’s important to be fully aware of how this could impact a debtor, and companies that do not disclose this upfront will clearly not be looking out for you down the line.